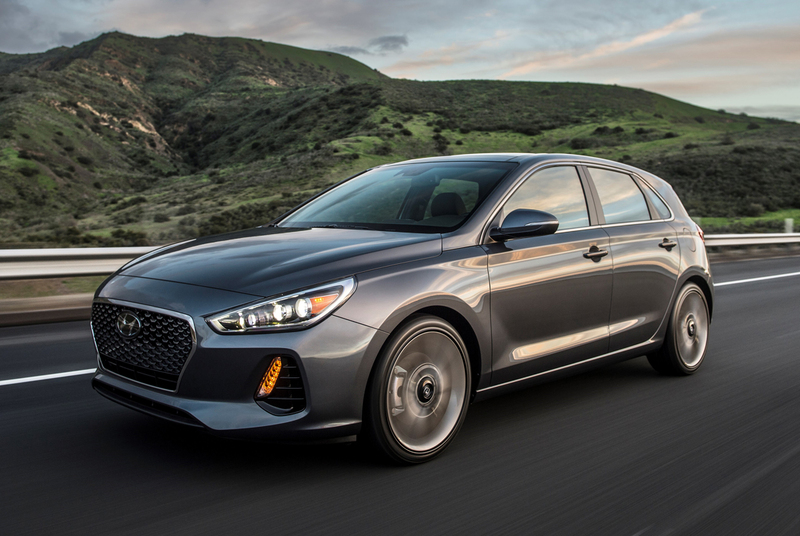 Bringing their newest version of the European five-door hatch to the States, the 2018 Hyundai Elantra GT made its official debut at the Chicago Auto Show. 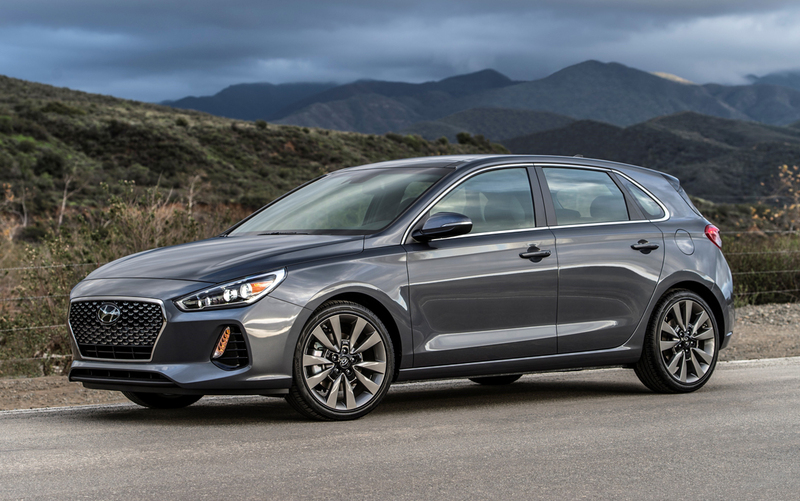 Unveiled in a theatric reveal in Chicago and based on the new-generation i30 model of the European market, the new 2018 Hyundai Elantra GT is lower, wider and will offer more aggressive handling than before. Most important it will offer buyers more power than ever. 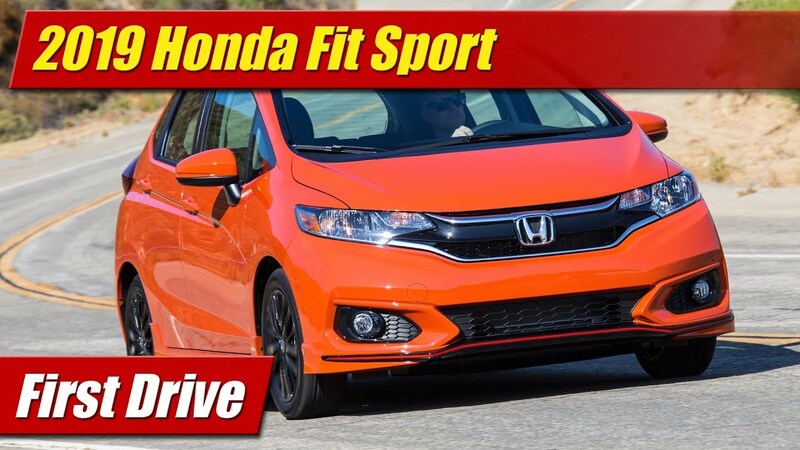 Two engine choices will be available specifically, starting with a direct injected 2.0-liter four-cylinder with 162 horsepower that you can have with both a six-speed manual or automatic. The big news is the optional 1.6-liter turbocharged four that now has 201 horsepower and 195 pound-feet of torque. 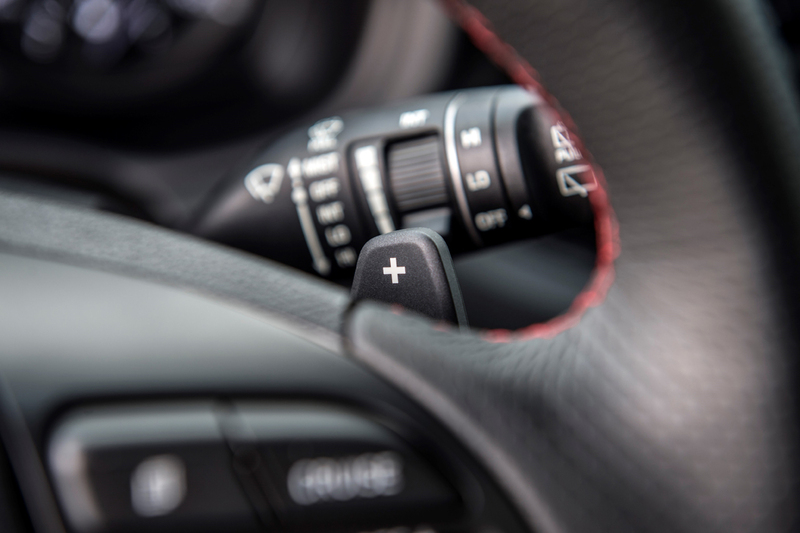 The latter will come also with the option of a six-speed manual but also available is a class competitive seven-speed dual-clutch transmission. Handling all this power is an all-new chassis Hyundai says they have tested on the Nürburgring – seemingly the new stamp of approval for anything sporting. Strangly however if you get the base model you get still a torsion beam rear suspension but the performance GT Sport gets a fully-independent multilink suspension. Going with the GT Sport also gets you 18-inch alloy wheels, bigger front and rear bakes and a much sportier suspension tune to handle that extra power. 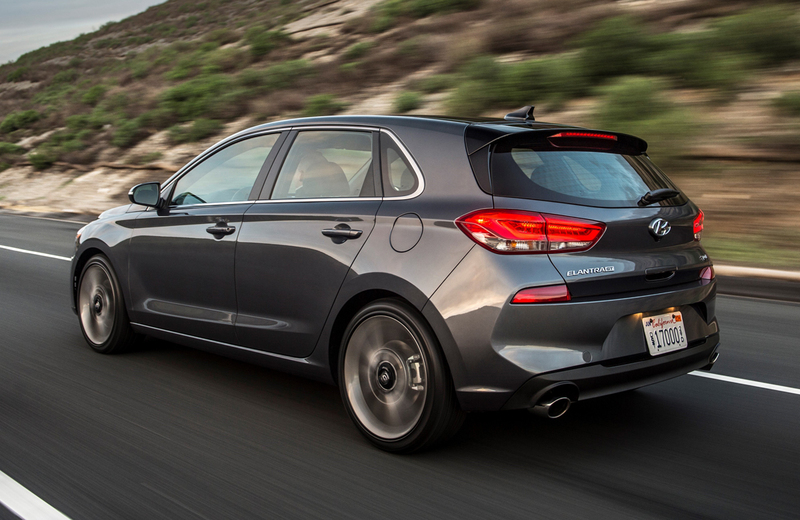 Based on the marketing materials they provided, Hyundai clearly sees this new Elantra GT as a Golf GTI challenger. 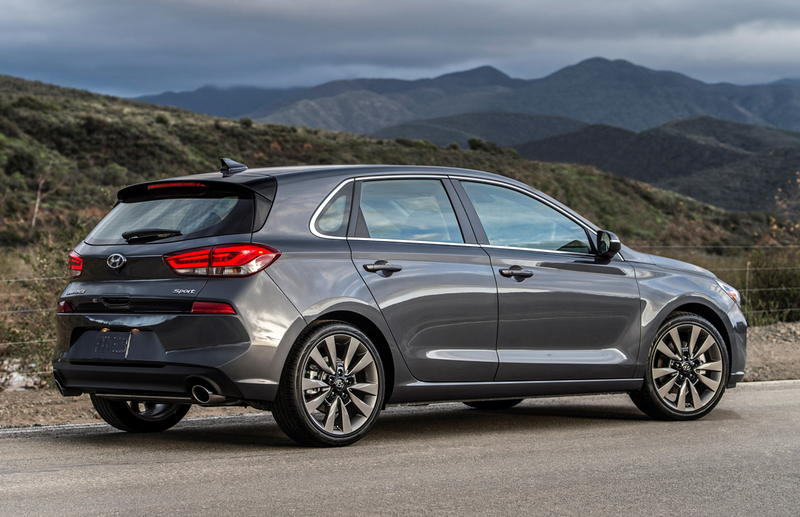 To wit the five-door hatch profile is distinctly European in character with the latest iteration of Hyundai’s grille design now taking on a different shape than before. 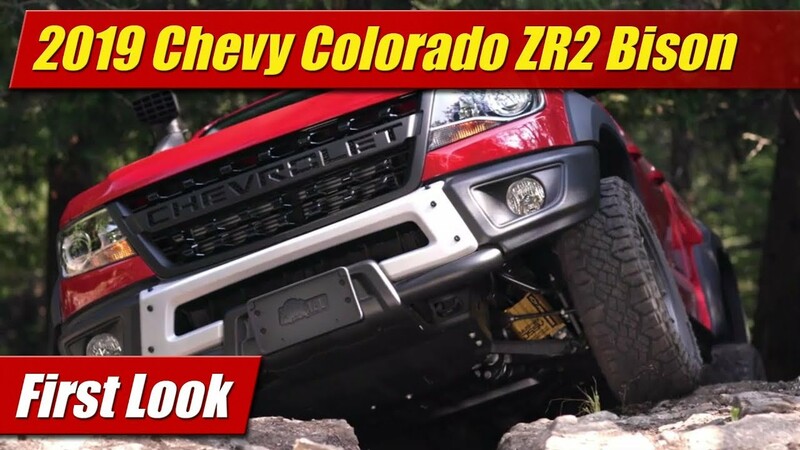 The face also features standard LED daytime running lights and LED headlamps will be available. 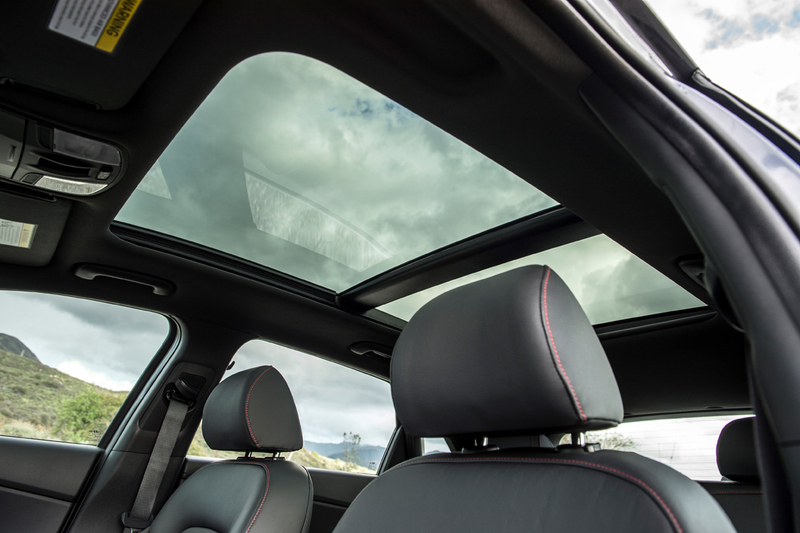 While the outside dimensions effectively match that of most compact hatchbacks, careful packaging has given the Elantra GT the largest interior in the class now with 96.5 cubic feet of passenger volume and nearly 25 cubic feet of cargo space though not very tall in there. 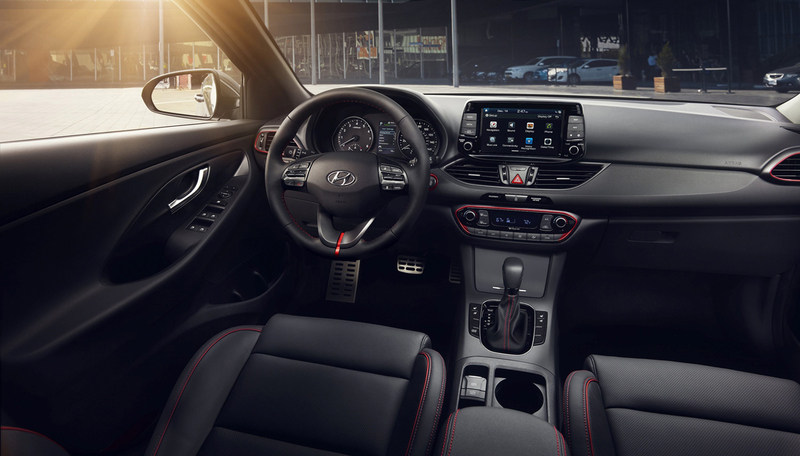 That takes us inside where you can get premium touches like leather sport seats seats, aluminum pedals, and dual-zone climate control. 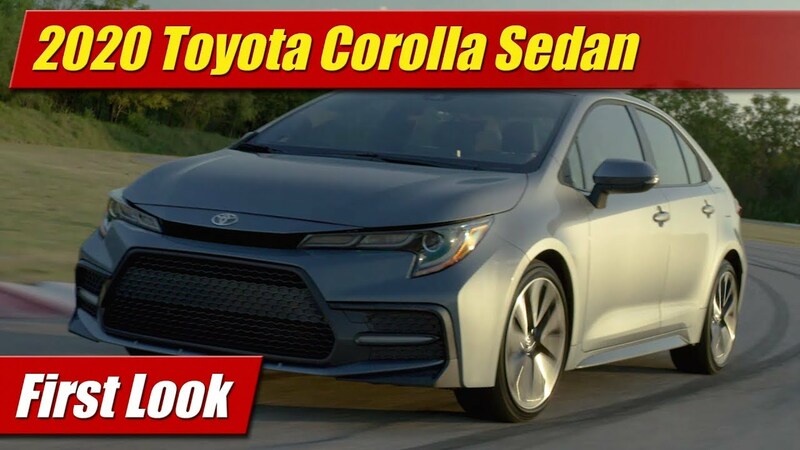 High tech features will be plentiful including the latest infotainment systems with Apple CarPlay and Android Auto just to name a few features. 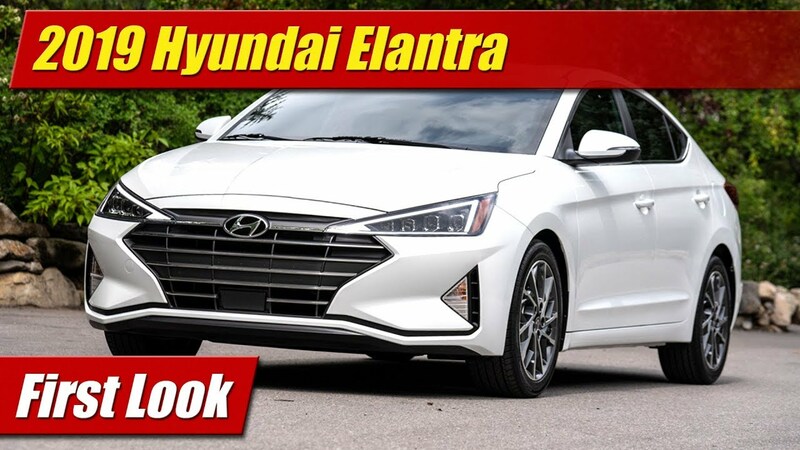 The design is much more premium even at base levels than the previous generation Elantra GT with a look and feel that’s more European sedan than econo box. Soft touch materials are found on most common touch points but yes, hard plastics still lurk elsewhere. 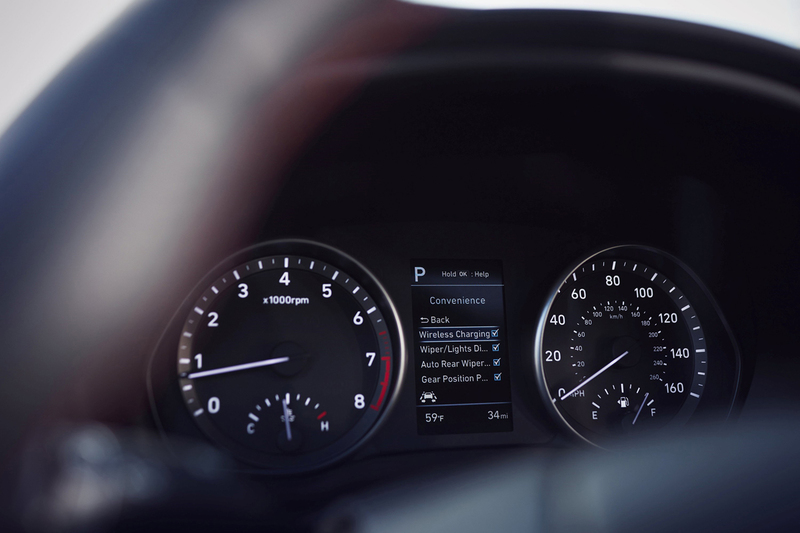 Driver aids like radar based cruise control with start and stop functionality, automatic emergency braking with pedestrian detection, lane keeping assist, automatic high beams and blind spot warning are among a long list of systems available. The 2018 Hyundai Elantra GT comes to showrooms in North America later this year with pricing to be announced closer to that time.